At LIFETIME we view the world through children's eyes for almost half a century. Children now have their own bedroom, their bedrooms are bigger and various trends have come and gone. With this motto as our guiding light, distinctive and imaginative universes are created that form the framework for the voyage through childhood. We believe that furnishing a child's room, involves more than just picking out a cheerful colour. 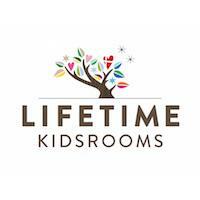 LIFETIME provides a conscious choice of high-quality products and safe materials, which are sustainable and eco-friendly, along with sturdy construction, which guarantee an investment that will give long years of pleasure to both child and parent. Only the best is good enough – for us and for your child.